For a long time Orlando remained a small settlement, the peak of development of which was in the middle of the 20th century. Today, it is not only a fast developing industrial and scientific center, but also a major tourist area. Travelers are attracted by picturesque parks, beautiful botanical gardens, amusement parks and numerous museums. Disney World Theme Park is the most famous attraction of the region. The park is a brilliant idea of the animator Walt Disney. It allowed transforming an empty territory of the city into a fantastic world of fairy tales and fantasies. The opening of the park took place in 1971; since that time this wonderful entertainment complex was visited by millions of adults and children. On the territory of Disney there are more than a dozen of modern theme parks and each of them is individual and unique. Besides Disney you will find numerous places of interest in Orlando. You can visit Sea World Aquarium, which has opened recently. In this place you will see numerous aquariums and even an artificial reef; in addition to fish you can see the inhabitants of the Arctic, which live in a separate pavilion. Excursions to the botanical garden named Cypress Gardens are no less popular. In this garden you can see over 50 types of tropical butterflies and lots of beautiful flowers. Orlando is often called an ideal place for family rest. You will not find such wide choice of entertainments at any other resort. Orlando has a great Art Museum where tourists are offered an interesting collection of paintings as well as folk art. Its extensive collection of exhibits is divided into several thematic zones. There are collections dedicated to the creativity of African peoples, as well as collections of artworks of the pre-war period. The museum often hosts contemporary art exhibitions and all kinds of workshops for adults and children. If you are not indifferent to the history of space, be sure to visit Kennedy Space Center. The excursion turns into an exciting trip to the world of high technologies. Visitors to the center will be able to see how cosmonauts are trained with their own eyes. There is also a museum with a variety of interactive exhibits in the center grounds. It holds tours for children of different ages. One day is not enough to explore all the hidden corners and exhibitions of the large-scale center. The Orlando Science Center is also quite popular among tourists who prefer educational activities. An exposition of this center is dedicated to the unique nature of Florida. The large-scale center accommodates a modern meteorological station. Visitors here are offered a lot of interesting entertainment: they can assess the accuracy of ultramodern telescopes, learn the basic principles of the work of meteorologists, and also try out various interactive exhibits in action. 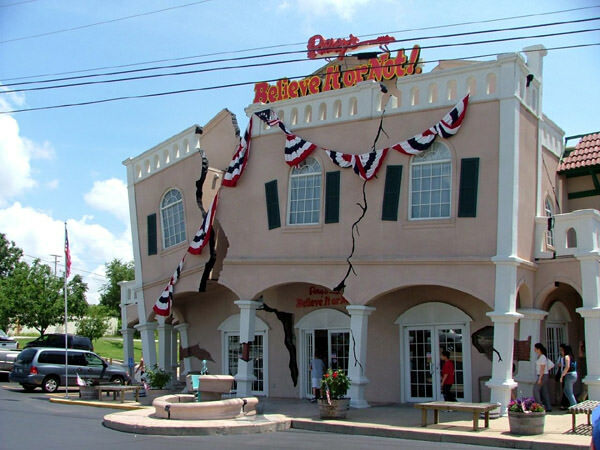 "Ripley's Believe It or Not" is deservedly called the weirdest cultural center of Orlando. It houses a lot of unusual exhibits and expositions, which are hard to understand and believe. The skeleton of a mermaid, a fish model with a wool cover instead of scales, a swimsuit made of hair - there are both real and fictional exhibits. Visitors to the museum should decide for themselves whether a particular exhibit is true or not. 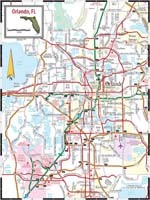 The main street of Orlando is International Drive, its length is 19 km. This street is a continuous series of numerous entertainment venues, hotels, and restaurants. Here you will find hundreds of shops - walking along this street remains some of the favorite entertainments for tourists. 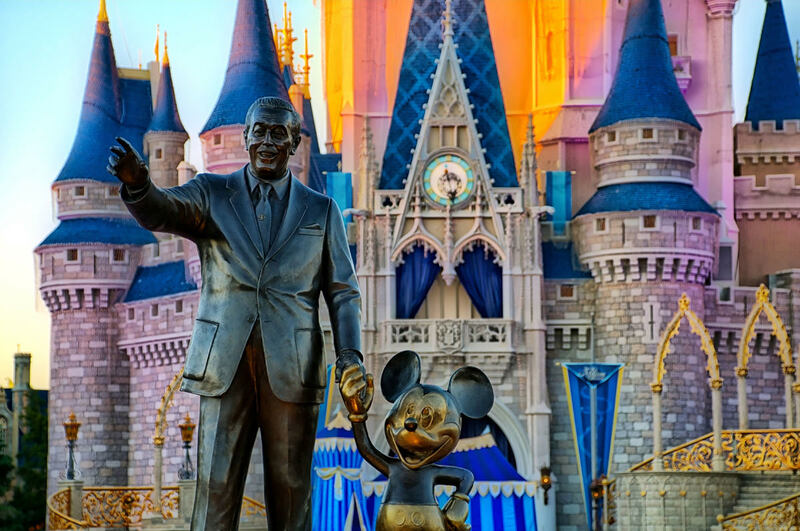 This guide to iconic landmarks and sights of Orlando is protected by the copyright law. You can re-publish this content with mandatory attribution: direct and active hyperlink to www.orangesmile.com. Check on the map: Distance from Orlando center - 24.3 km. Check on the map: Distance from Orlando center - 13.1 km. 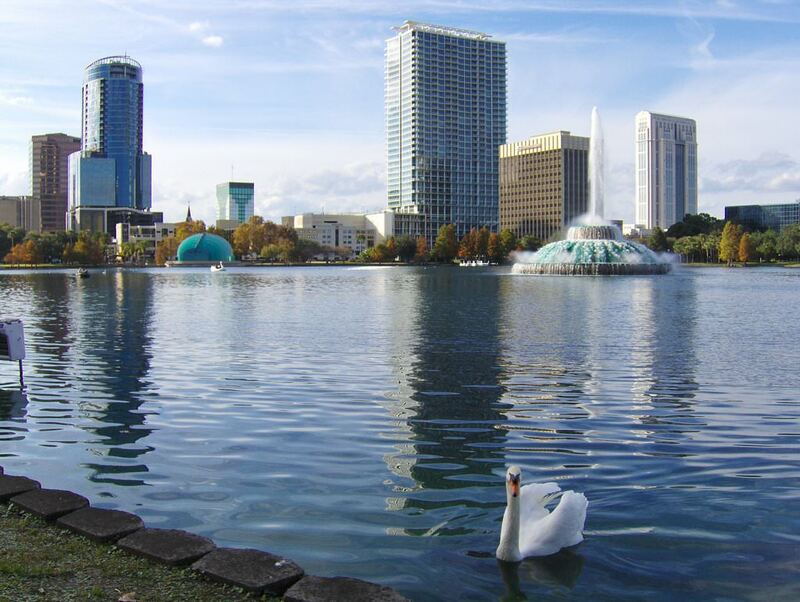 All about Orlando, USA - sightseeings, attractions, touristic spots, architecture, history, culture and cuisine. Prepare your trip together with OrangeSmile.com - find out the 'must see' things in Orlando, which places to visit, which excursions to take, where the breathtaking views are waiting for you. Planning your trip with this travel guide will help your to get the most out of Orlando in few days.